« Facebook privacy settings: Who cares? Every time I dare to talk about race or class and MySpace & Facebook in the same breath, a public explosion happens. This is the current state of things. Unfortunately, most folks who enter the fray prefer to reject the notion that race/class shape social media or that social media reflects bigoted attitudes than seriously address what’s at stake. Yet, look around. Twitter is flush with racist language in response to the active participation of blacks on the site. Comments on YouTube expose deep-seated bigotry in uncountable ways. The n-word is everyday vernacular in MMORPGs. In short, racism and classism permeates every genre of social media out there, reflecting the everyday attitudes of people that go well beyond social media. So why can’t we talk about it? Let me back up and explain the context for this piece … three years ago, I wrote a controversial blog post highlighting the cultural division taking shape. Since then, I’ve worked diligently to try to make sense of what I first observed and ground it in empirical data. In 2009, I built on my analysis in “The Not-So-Hidden Politics of Class Online”, a talk I gave at the Personal Democracy Forum. Slowly, I worked to write an academic article called “White Flight in Networked Publics? 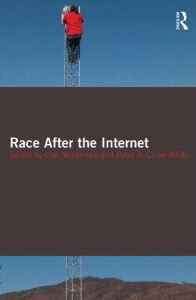 How Race and Class Shaped American Teen Engagement with MySpace and Facebook” (to be published in a book called Digital Race Anthology, edited by Lisa Nakamura and Peter Chow-White). I published a draft of this article on my website in December. 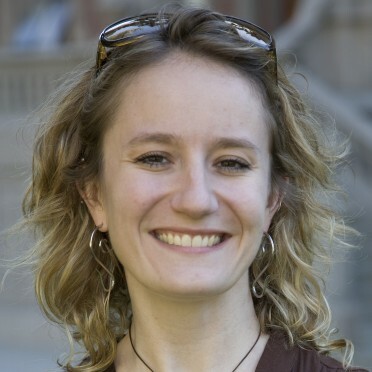 Then, on July 14, Christoper Mims posted a guest blog post at Technology Review entitled “Did Whites Flee the ‘Digital Ghetto’ of MySpace?” using my article as his hook. I’m not sure why Mims wrote this piece now or why he didn’t contact me, but so it goes. Mims’ blog post prompted a new wave of discussion about whether or not there’s a race-based (or class-based) division between MySpace and Facebook today. My article does not address this topic. My article is a discussion of a phenomenon that happened from 2006-2007 using data collected during that period. The point of my article is not to discuss whether or not there was a division — quantitative data shows this better. 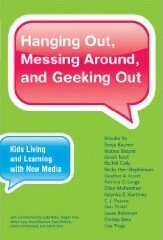 My goal was to analyze American teenagers’ language when talking about Facebook and MySpace. 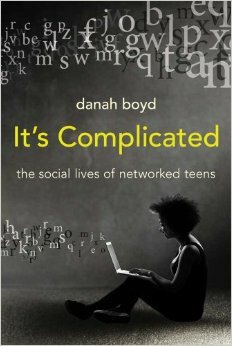 The argument that I make is that the language used by teens has racialized overtones that harken back to the language used around “white flight.” In other words, what American teens are reflecting in their discussion of MySpace and Facebook shows just how deeply racial narratives are embedded in everyday life. So, can we please dial the needle forward? Regardless of whether or not there’s still a race and class-based division in the U.S. between MySpace and Facebook, the language that people use to describe MySpace is still deeply racist and classist. Hell, we see that in the comments of every blog post that describes my analysis. And I’m sure we’ll get some here, since online forums somehow invite people to unapologetically make racist comments that they would never say aloud. And as much as those make me shudder, they’re also a reminder that the civil rights movement has a long way to go. Race and class shape contemporary life in fundamental ways. People of color and the working poor live the experiences of racism and classism, but how this plays out is often not nearly as overt as it was in the 1960s. But that doesn’t mean that it has gone away. There is still bigotry, and the divisions run deep in the U.S. We often talk about the Internet as the great equalizer, the space where we can be free of all of the weights of inequality. And yet, what we find online is often a reproduction of all of the issues present in everyday life. The Internet does not magically heal old wounds or repair broken bonds between people. More often, it shows just how deep those wounds go and how structurally broken many relationships are. In this way, the Internet is often a mirror of the ugliest sides of our society, the aspects of our society that we so badly need to address. What the Internet does — for better or worse — is make visible aspects of society that have been delicately swept under the rug and ignored. We could keep on sweeping, or we could take the moment to rise up and develop new strategies for addressing the core issues that we’re seeing. Bigotry doesn’t go away by eliminating only what’s visible. It is eradicated by getting at the core underlying issues. What we’re seeing online allows us to see how much work there’s left to do. In writing “White Flight in Networked Publics?”, I wanted to expose one aspect of how race and class shape how people see social media. My goal in doing so was to push back at the utopian rhetorics that frame the Internet as a kumbaya movement so that we can focus on addressing the major social issues that exist everywhere and are exposed in new ways via social media. When it comes to eradicating bigotry, I can’t say that I have the answers. But I know that we need to start a conversation. And my hope — from the moment that I first highlighted the divisions taking place in 2007 — is that we can use social media as both a lens into and a platform for discussing cultural inequality. “We could keep on sweeping, or we could take the moment to rise up and develop new strategies…” Sweeping’s the easiest. And unfortunately, the internet is all about ease. Well, the thing is… racism is natural. It’s innate. It’s left over tribe mentality. It’s normal behavior. It’s a defense mechanism. So, why don’t we worry about problems that matter? Like unsustainable culture. This discussion seems very US-centric. Facebook has 15 million users in the Middle East and North Africa. You are an inspiration to me. While I don’t always agree with what you say, I am always impressed by the analysis behind what you say. In this particular case you shouldn’t be surprised when people’s (or for that matter the internet’s) racist tendencies come out strongest after they have been pointed out. Keep it up, the more we know the more we can be frustrated by people who don’t listen. And that’s always fun. I haven’t actually bothered to create a MySpace account. I wasn’t aware that it was stereotypically Black, but I must confess that the stereotype of MySpace users as ‘young’ has influenced my nonparticipation, likewise for kid’s stuff domain Livejournal. The Murdoch connection is also a factor. I recently broke down and created a Facebook account, but I’m failing to see the point and may soon delete it, assuming that’s even possible. The stereotypes I was aware of is that MySpace is for kids, Facebook is for Canadians and LinkedIn is for yuppies. Being sick of all the commercialism, I’m more into the blogosphere, and have fond memories of the Golden Age of Usenet. I sort of agree with mindcntrl’s comment. sometimes it appears as if discrimination, racsim is natural. look at racially divided groups in the prison systems, ahh. so you take everything away from people and what is left? but i do believe in individualism, and not all people are involved in such groups, survival may depend on being involved in such groups though, according to my felon friends. Back to racism and social classes on the internet…well, i have found that some of the best forms of racsim and discrimination on the internet can be found on news article’s comment post, like the local news in my area has a website (al.com)”not promoting it”. people are allowed to post comments on the stories. well here in the birmingham, al area, people of different races sometimes live in different areas, and different social classes, etc. so people i notice will comment on areas of different racial and economic stuats, it is usally all in good fun though, but sometimes i have noticed during tragedy these commenters will be more sympathetic…even larger news sites like yahoo news etc display comments of racism and social class, etc…notice it next time you read news online….but, internet networking can also bring together people of different racial/social status. I just saw you on CNN, and I while I think your research is fascinating and I don’t dispute the demographic details of the membership of two different websites I have to disagree with your general conclusions. Two frequently you attribute qualities to a website that should only be ACTUALLY attributed to individuals. “MySpace is still deeply racist and classist.” Myspace MAY have more black or lower class people but that doesn’t mean the site is “racist” nor does it mean it is “classist”. The word racist has a generally wide range of meanings, but one of them isn’t “different then global demographics”. Inner cities have higher black populations, and often high poor populations, but that doesn’t mean they are “racist or classist”. Just like cities, these sites have individuals in them which share opinions which are racist or classist. But just because there are people in New York who say racist things, that doesn’t mean New York is “racist”. Once you realize this is a story about how there are people on websites who are racist it becomes less interesting of a story, because there are people everywhere who are racist. Finally, on your interview you said “we have to see who is included and excluded”, when referring to these sites. I may have misunderstood you, but to me this sounded like you were implying that poor or black people were excluded by some mechanism on facebook, or the opposite on myspace, but this is simply untrue. One thing that was discussed that is the real important conclusion from your data is that political figures should realize who they are speaking to. In general having a presence on facebook means you might have a proportionally higher exposure to white people then you might in the general public on the United States, and the opposite for black people and myspace. “And yet, what we find online is often a reproduction of all of the issues present in everyday life.” – This is where I think you leave the fact-based conclusions and go into assumptions. There are racist words by racist people online, but there aren’t things to overcome like a poor family and poor education for black people in inner cities, there aren’t problems to deal with like the prevalance of drugs in some lower-class communites. In fact almost every problem that unequally effects races, or classes is NOT present on the internet. We don’t see people who are ignored because their clothes aren’t nice enough, we don’t see people served websites poorly or slowly because they are black, it IS the great equalizer, and even if there are racist people on the internet, and even if they are more likely to say racist things, in the end the internet sees us only as an IP address, and no IP address is treated different because it’s user is poor, or black. In discussing the functional differences between myspace and facebook, there is an important dimension that is not mentioned in your article. Myspace, which admittedly I rarely use anymore, seems to be primarily oriented around a space/visiting metaphor. People’s profiles are like their homes (or in the case of teens, more likely bedrooms) full of different toys, decorations, posters, music collections, etc… People go to other people’s profiles and experience what’s there and leave notes. Facebook, on the other hand, is more like a media-rich telephone network. People stay in their own homes, and receive streams of information from their friends and respond to it as it comes in. Mysace is more time-free… if you put a video on your page, it stays in a position of prominence until you choose to remove it. Facebook is more chronologically linear… if you post a video it goes on your friends newsfeeds and then disappears as time goes on. I know that myspace also has a newsfeed but I don’t think people orient around it like they do on facebook. Anyway, I think this difference is at least as important as the BLING aesthetic vs Clean Aesthetic difference that people usually mention. Your Facebook vs. MySpace discussions have been in the back of my mind for a while. I work in a university where most of us are socially progressive, but I think we make technology assumptions based on our upper middle class Caucasian ideals. I was discussing mobile technology with a mixed race student group and I noticed that there was an interesting interchange between 2 students of color about whether one would admit he owned an iPhone or not. I don’t know what the truth was, but I did realize that iPhone may not have the “street cred” among that group that it has in our office. I think you pointed out one implication that we have to be careful about assuming that everyone is on board the same platform. The other implication though is that ed tech specialists may not be exploring every possible technology option. Many rural college towns may think of the “inner city” as being technologically impoverished, but the truth is more that the technology is different, and often different in interesting ways. A commenter criticized our discussion as being U.S. centric, and I would have to agree with that. Facebook may have a different meaning outside the U.S., and it may be important to know what it is if we want to understand communications on a global level. While some of these issues play out elsewhere, they’re configured differently. I have blogged about how I understand the physiology behind racism and bigotry. For two people to communicate, they must exchange mental concepts. To do this, the first person must translate their mental concept into the data-stream of language. The neuroanatomy that is used to do this is what I call a “theory of mind”. The data-stream of language; gestures, facial expressions, body language, tone of voice, eye movement, etc. is transmitted, received by the second person and then up-converted back into mental concepts by the second person’s “theory of mind”. Fundamentally the only things that can be communicated are mental concepts, and it requires consilience in the two theories of mind for that communication to be possible. My hypothesis of what causes xenophobia is that when two people try to communicate, if their two “theories of mind” are not sufficiently consilient, then the error rate goes up. I think that when two people meet, they do in effect a Turing Test, to see if the other person is “close enough” to being “like me” to trust, to communicate with, and ultimately to grok. If the error rate is too high, then no, the person cannot be trusted and xenophobia is triggered via the uncanny valley effect. The initial feeling of xenophobia is a feeling and is morally neutral. If two people with non-matching “theories of mind” attempt to communicate, over time they begin to learn more about the other, and they each modify their “theory of mind” unconsciously so that they begin to understand the other. Eventually the feelings of xenophobia go away because the other can be fully understood. This is not what bigots and racists do, they avoid the other, and so never learn about the other, never allow their “theory of mind” to recalibrate itself so as to understand the other and so the feelings of xenophobia remain and instead they make up quite nonsensical and false ideas to justify the feelings of antipathy they have for the other. I give a number of examples in my blog. For racism and xenophobia to go away, would-be bigots need to have enough exposure to the would-be objects of their bigotry so that they can understand them. This happens most easily during childhood and language acquisition. Bigotry can be learned too and if people want to be bigots there isn’t anything that can be done to stop them from the outside. I think in that case the hatred becomes a conditioned response to something known and not an uncanny valley effect. Love your writing about this. I hope soon to have a ‘bloggingheads’ discussion about race and technology in education reform. Perhaps you can join me if you like what you see at our site. And I could not resist saying to the person who believes racism is innate, it is not. Racism is a learned behavior and protection strategy as cultural and economic systems moved towards adjustments to scarcity or surplus. Racism is about thought control, resources control and privilege. It is certainly not innate. Interesting article, but we have seen how facebook was banned in Pakistan ordered to be removed by the court due to the sensitive page called “Everybody Draw Mohammed Day!”. it posted an articles/images that were offensive and disgraced against the islamic religion. Facebook has two options: 1. To be banned 2: or obey the court rule enforced by the Government of Pakistan. I don’t really know how you begin to discuss race and class with the net. So much is revealed by comments, it may just be a good idea to analyze what the most common types of remarks and opinions there are and try and think of how they have come to be, possibly. What types of videos do people respond to most, and what are the people truly laughing at, or getting riled up about? What is the ‘punchline?’ What is the specific language they’re using, and where can it be traced to? Would someone get this woman some cheese to go with her whine? Truly a sign that our culture has gone to hell when, despite the myriad real problems facing our nation, she devotes an entire research project to how racist kids are for switching to Facebook. And the weirdest part is her refusal to call out things like “bling” and “conspicuous consumption” for the negative things that they are. That type of backwards culture is what’s holding back black people and helping to reinforce racism. She speaks of no interest in shepherding minorities away from the deleterious cultures they’re born into but simply complaining that others deride those cultures. I would say the vast majority of the discrimination aimed at “race” is actually aimed at behaviors. Note how most of those kids mentioned not the skin color of the Myspace denizens but their unpleasant behavior. Just take a look at Myspace and you’ll see it is not just some racist assumption. That’s all there is anymore: profile junk.